Think of plastic pollution in the world’s oceans and visions of the Great Pacific Garbage Patch invariably come to mind. But an emerging breed of “microplastics,” defined as any plastic particle smaller than 1 nanometer—or one hundred-thousandth the width of a human hair—is raising health and safety concerns on shorelines across the globe. Unlike its larger brethren, however, microplastic pollution has a far more insidious cause. 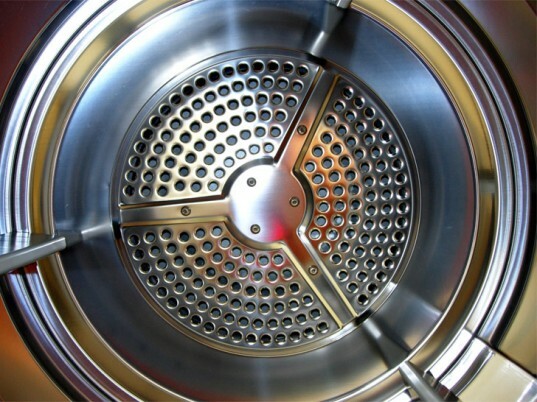 And, according to a study published in the November 1, 2011 issue of Environmental Science & Technology, our washing machines are partly to blame. Microscopic fragments of acrylic, polyethylene, polypropylene, polyamide, and polyester have been discovered in increasing quantities across the northeast Atlantic, as well as on beaches in Britain, Singapore, and India, says Mark Browne, an ecologist at University College Dublin and the paper’s lead author. Browne and his colleagues from the University of Sydney in Australia, the Universities of Plymouth and Exeter in the United Kingdom, and Waters in Canada sampled 18 sites representing shorelines in six continents to track down a possible source of the contamination. A chemical analysis revealed that nearly 80 percent of the filaments comprised polyester or acrylic, which are common in synthetic textiles. By separating the plastic from the sand and chemically analyzing them, the researchers discovered that nearly 80 percent of the filaments were either polyester or acrylic, both of which are common in synthetic textiles. No single beach was devoid of the colorful lint. Each cup of sand had at least two fibers and as many as 31. The most-contaminated samples also originated from areas with the highest human population density, suggesting a pathway to the ocean through sewage. Samples of treated wastewater and sewage-tainted ocean sediment confirmed the scientists’ suspicions. To discover how the synthetic lint wound up in sewage, Browne’s team purchased an assortment of polyester blankets, fleeces, and shirts. After cycling the garments in three domestic washing machines for several months, the researchers collected and filtered the wastewater for analysis. The numbers were startling: A single garment can produce over 1,900 near-invisible fibers with each wash, Browne says. Ingested microplastics can persist in cells for months, moving up the food chain to animals and people who eat fish. More alarmingly, some studies show that microplastics can absorb toxic chemicals such as PCBs, dioxins, and DDT. Textile and washing-machine manufacturers, as well as sewage-treatment plants, should be researching ways to mitigate microplastic pollution, says Browne. As populations grow, so will the problem. Textile and washing-machine manufacturers, along with sewage-treatment plants, should be researching ways to mitigate microplastic pollution, says Browne, who suggests filters that trap the fibers or clothing that sheds less. Consumers can also help by choosing natural fibers over synthetics. Certain garments, such as polyester fleeces, can release up to 180 percent more fibers than other textiles, he adds. Seasonality is another consideration. Washing-machine usage is seven times greater in the winter, notes the study, which results in a sudden uptick in the amount of microplastics released into the environment. Getting maximum usage out of clothing before tossing it in the wash could also ease shoreline pollution. What is this microplastic pollution doing to our bodies? Is Synthetic Clothing Causing "Microplastic" Pollution in Our Oceans? Think of plastic pollution in the world's oceans and visions of the Great Pacific Garbage Patch invariably come to mind. But an emerging breed of "microplastics," defined as any plastic particle smaller than 1 nanometer�or one hundred-thousandth the width of a human hair�is raising health and safety concerns on shorelines across the globe. Unlike its larger brethren, however, microplastic pollution has a far more insidious cause. 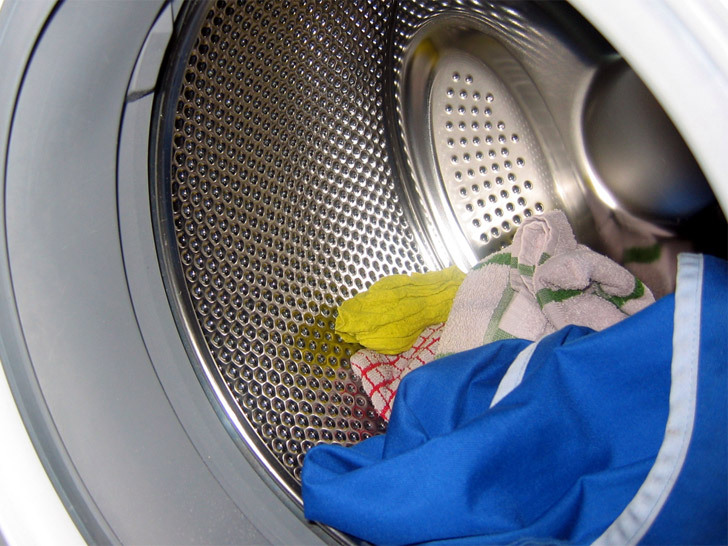 And, according to a study published in the November 1, 2011 issue of Environmental Science & Technology, our washing machines are partly to blame.